The Blue Business℠ Plus Credit Card from American Express is a great option for small business owners who want a $0 annual fee card with a strong rewards program and card benefits. Businesses that spend around $4,000 a month will see the most value in the rewards program. Additionally, there is an intro period for businesses that want to carry a balance to finance new purchases. You can benefit from 0% for 12 Months on purchases (after, 15.49% - 21.49% Variable APR). This can come in handy if you plan on purchasing computers, printers or other big ticket items. If business travel brings you outside the U.S. it may not be beneficial to use this card, because there is a foreign transaction fee at 2.7% of each transaction after conversion to US dollars. 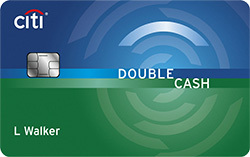 American Express offers other cards without foreign transaction fees like The Plum Card® from American Express. This card has a laundry list of perks that can provide great value for your business and make day-to-day processes easier, such as the abilities to connect to QuickBooks® and add an Account Manager to handle tasks like reviewing statements. American Express is known for providing exceptional benefits, and this holds true with the various offers this card has. Compared to other cards, The Blue Business℠ Plus Credit Card from American Express goes above and beyond with perks for nearly all types of businesses. This card also has the longest intro period for any business card in our database at 0% for 12 Months for purchases and 0% for 12 Months for balance transfers; 15.49% - 21.49% Variable APR afterwards. This provides your business over a year to pay off any debt. Keep in mind there is a balance transfer fee of either $5 or 3% of the amount of each transfer, whichever is greater. There is a foreign transaction fee of 2.7% of each transaction after conversion to US dollars. Therefore, it’s better to use a card without a foreign transaction fee when traveling abroad, like The Plum Card® from American Express, so you don’t incur fees. For example, using this card abroad for $500 worth of purchases will result in a $13.50 fee. Connect to QuickBooks®: Link your card account to QuickBooks® for easy labeling and transferring of transactions. This card is more beneficial for small business owners who spend in the $4,000 range each month since the rewards rate is 2X Membership Rewards® points on everyday business purchases such as office supplies or client dinners. 2X applies to the first $50,000 in purchases per year, 1 point per dollar thereafter. Make sure to use The Blue Business℠ Plus Credit Card from American Express for all of your business spending to take advantage of the great rewards. If your business plans on making a large purchase or purchases, use the purchase intro period at 0% for 12 Months; 15.49% - 21.49% Variable APR after. This allows you to save money compared to other cards that do not have an interest free period. 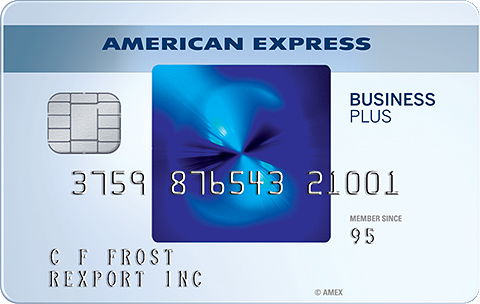 The Blue Business℠ Plus Credit Card from American Express offers 2X Membership Rewards® points on everyday business purchases such as office supplies or client dinners. 2X applies to the first $50,000 in purchases per year, 1 point per dollar thereafter. This is a highly competitive rate for small businesses and great if yours spends around $4,000 a month. Membership Rewards® points can be redeemed in various ways including gift cards, transfers to select frequent travel programs, points for charges and shopping with points at Amazon.com, to name a few. See membershiprewards.com/terms for the Membership Rewards program terms and conditions. The Blue Business℠ Plus Credit Card from American Express and The Plum Card® from American Express both offer the long list of additional card benefits that American Express is known for, but they differ in several key ways. First, The Plum Card® from American Express has a $0 introductory annual fee your first year, then $250. 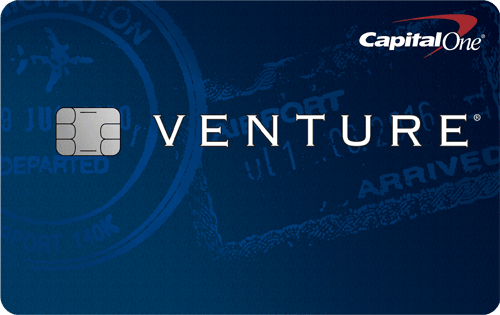 Meanwhile, The Blue Business℠ Plus Credit Card from American Express has a $0 annual fee. Depending on your business’ finances, you may prefer one card over the other. Looking at the rewards, The Blue Business℠ Plus Credit Card from American Express has a program where you can earn 2X Membership Rewards® points on everyday business purchases such as office supplies or client dinners. 2X applies to the first $50,000 in purchases per year, 1 point per dollar thereafter. The Plum Card® from American Express doesn’t have a ‘rewards’ program — it allows you to get a 1.5% discount when you pay early, with no cap on what you can earn back. If you want to earn points for your business spending, The Blue Business℠ Plus Credit Card from American Express is the better option. Annual Fee $0 $0 introductory annual fee your first year, then $250. Rewards 2X Membership Rewards® points on everyday business purchases such as office supplies or client dinners. 2X applies to the first $50,000 in purchases per year, 1 point per dollar thereafter. Get a 1.5% discount when you pay early, with no cap on what you can earn back. Small businesses that are looking for a $0 annual fee card with a competive rewards program should consider The Blue Business℠ Plus Credit Card from American Express. In addition to great rewards, there are standout perks that increase the value of this card such as connecting to QuickBooks® and the OPEN Forum®. View our top business credit cards.